Before we get into this post, please take a minute to see this video. I have grown up hearing my mother tell me “Go and wash your hands first” as soon as I returned from school and before every meal. Washing your hands is something that most of us take for granted but do you realize that in India, not washing hands is indirectly the cause of over 6 lakh children dying before they turn 5. Hand washing with soap can help in reducing diarrhea by 45% and pneumonia by 23% - the two major diseases that affect young children. When we speak of washing hand and hygiene, lifebuoy invariably comes to our mind. All of us have grown up hearing the jingle “Tandurasti hai jahan, Lifebuoy hai wahan”. 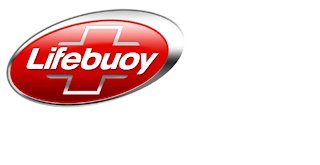 Lifebuoy for us is synonymous with hygiene and hand washing. Now Lifebuoy goes a step further in their quest for health and hygiene by introducing their ‘Help a Child Reach 5’ campaign. Lifebuoy aims to teach school kids, new mothers and through them the whole community the importance of washing hands. The purpose is to inculcate this habit in as many people as possible and thus help in reducing the mortality rate of children under five years of age by two third by the year 2015. Lifebuoy has adapted Thesgora, a village in Madhya Pradesh, with one of the highest rates of diarrhea to promote the importance of washing your hands.To start off their campaign they have also taken out the above video by Kajol where she urges people to join Lifebuoy in their campaign to eradicate Diarrhea from India, one village at a time. As they say, charity begins at home ! You and I can also help in this cause by stressing the importance of washing hands to our children and other family members. You can also do your two bits by clicking on the following link and making a donation. The proceeds from the donations will go to Population Services International (PSI), a leading health organization for implementing hand washing programs. For every donation that you and I make, Lifebuoy will match the donation amount for its handwashing programs. Lifebuoy will also donate 1 rupee to handwashing programmes every time the ‘Help a Child Reach 5’ video is shared online. A healthy and strong generation is very important in the growth of a nation and that is what Lifebuoy aims to do. So tell me would you like to join hands for this cause ! This post has been sponsored by Lifebuoy, but all thoughts are my own. A much needed social endeavor. I was also told by my mother “Wash your hands with soap and gurgle first.” when I came back from outside and before meals. The habit continues in my family and now my grandchildren are told to do so by their parents. It is very effective against infectious disease especially during cold and flu season. “Life buoy” is a great movement. Nice post to let people know about it. 'Haath Dhoye Kya?' These are the most oft repeated words at home. Every hand we shake, every hand rail we touch, every door knob, every light switch, every counter top, every dog we we pet…simply everything we touch can place dangerous germs on our hands. Washing hands is so very important. Kudos to Lifebuoy for this WOW initiative. That's a ver nice and informative post. Thanks Ruchira...am there! I am a great supporter of wash your hands slogan.I do so at least ten times a day. I was not aware of these death figures, how very sad and disturbing. Thanks for sharing this.